Koto was first talked about here with her Pixiv Market release, Marchen, which featured all original illustrations. 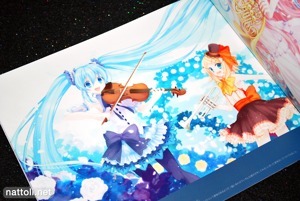 This time around, Koto has released Partita Vocaloid Fan Book, a full color collection of Vocaloid illustrations that includes tributes to many of the popular songs like Magnet and Eager Love Revenge along with the new design for Hatsune Miku Append. 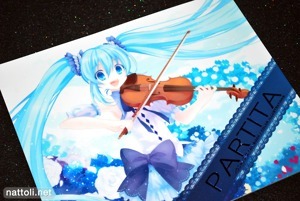 The layout for Partita Vocaloid Fan Book is a horizontal landscape style, making many of the illustrations look desktop wallpaper-ready ^^ It's B5-sized and 24-pages in total, with outside and inside covers being used for illustrations. Unlike with Koto's last release, most of these illustrations didn't appear on her Pixiv or website ahead of time, making for a lot of previously unseen art work. 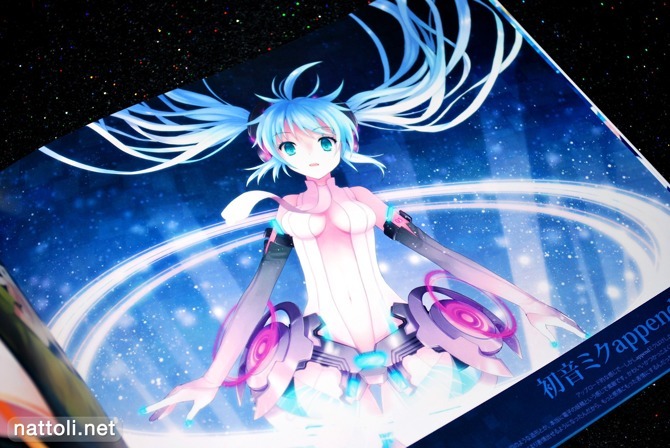 Many of the Vocaloid illustrations were done in the style of the music video art work from the popular songs. The ones above are most easily recognizable, with Magnet, Eager Love Revenge, Black Rock Shooter, and Saihate (サイハテ). Toeto and Meltdown finish off the section, although there are a couple more not pictured. Niconico video numbers are included with each of the illustrations that are from a song. 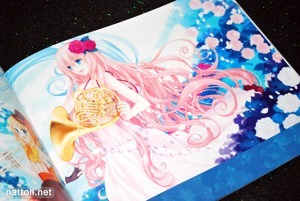 In the center of Partita is an original illustration by Koto, featuring Hatsune Miku, Kagamine Rin, and Megurine Luka together. 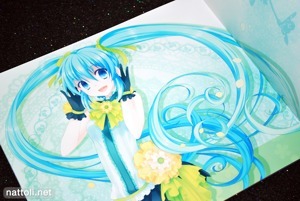 It's part of the same illustration from the cover, but the cover illustration only has Hatsune Miku. After this point, the illustrations no longer correspond to popular Vocaloid songs. 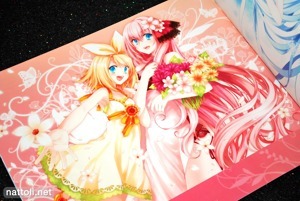 Along with Hatsune Miku Append, there are illustrations for Cat's Day Rin and Len, as well as a version of Snow Miku (雪ミク). 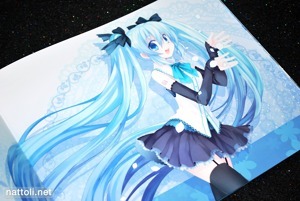 There are a few more illustrations of just Hatsune Miku, pictured with a "First Anniversary" and "Memories" theme. 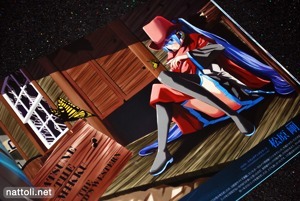 Partita Vocaloid Fan Book ends with a couple of fan art illustrations; one by Matsubara Tsuyoshi (松原剛) with a cowboy Western version of Hatsune Miku, and the other by Ria Akitsuki (秋月リア), which isn't pictured. On the whole, I was really impressed with Partita and the sheer number of illustrations with beautiful backgrounds featured in it. It really shows Koto's dedication to this project over the past year to have so many new illustrations! Love the colours on this! 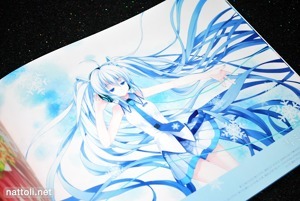 And a depiction of Snow Miku too!